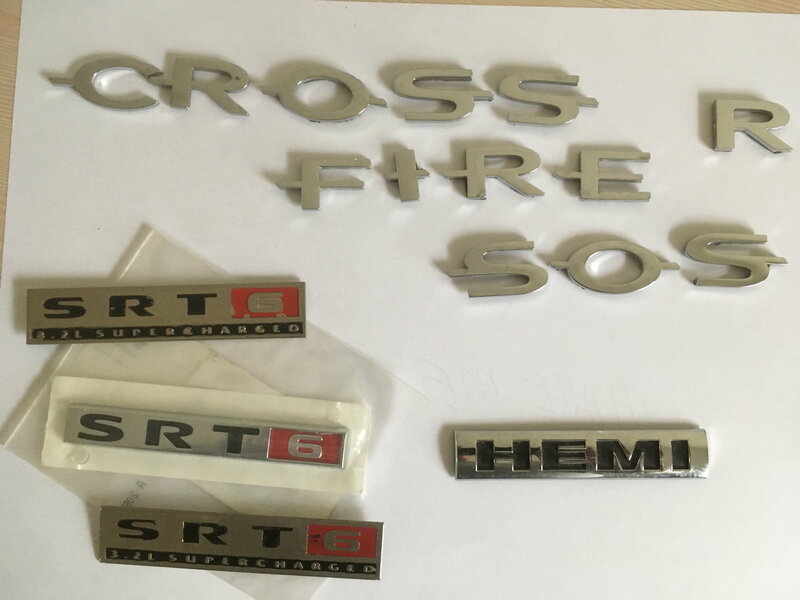 hemi new,, srt 6 new in package ,,,two metal srt 6 supercharge one almost new ,one not so good. Last edited by amx1397; 04-16-2019 at 08:09 AM. Re: make me an offer! I need an S if you can spare one? I'd like to buy an F.
If you decide to break them up I need an E.
I would give $20 for an E.
i hope so because i will only sell my spare letters,, and what u see are spares. So, am I buying an E? Last edited by amx1397; 04-03-2019 at 02:23 PM. Last edited by Valk; 04-12-2019 at 06:31 PM. Okay, I'll give you $20 for an F.
How much to offer? Or offer anything at all..? Chrome rims for sale - make offer! 2005 black SRT6 roadster / parting out . . .
Quick Reply: make me an offer!